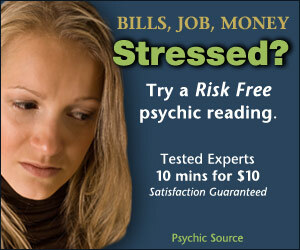 I think a lot of people look to Tarot readings to help tell their future. When in fact the cards actually are telling us about our past and present. They give insight into our self, our thoughts, and our patterns in life. They help us understand the choices that we have made so far in life then based on those choices we can then determine what “may” happen in the future. By reviewing our patterns thus far we can learn things about ourselves. Do we like what we see or do we want to make changes? We do have a choice. Swords correspond to the element of Air and to the Astrological signs of Gemini, Libra and Aquarius. Swords deal with the mind and intellect. What are your thoughts, beliefs, attitudes? There is a fine line between intellect and power; it can be used for good or bad. They signify freedom, quick change, strength, conflict or tension, power and authority but also responsibility. In the reverse it can reflect anger, lack of compassion or guilt. Wands correspond to the element of Fire and to the Astrological signs of Aries, Leo and Sagittarius. Wands deal with our spirituality or creativity. What is important to you? Who are you at your core being? They signify ambition, intuition, determination, expansion, passion, new venture, success or good luck. In the reverse it can reflect illusion, impulsiveness, and lack of purpose, egotistical. Pentacles or Coins correspond to the element of the Earth and to the Astrological signs of Taurus, Virgo and Capricorn. Pentacles deal with the physical part of us. The outer situations of health, finances, stability, work and creativity. How do we create, shape, transform and grow? They signify our ego, self esteem and self image. In the reverse it can reflect greed, poorly managed finances, giving up balance in life to focus on career. It’s about extremes on the material side of life. Cups correspond to the element of Water and to the Astrological signs of Cancer, Scorpio and Pisces. Cups deal with relationships and love, feelings. Our connections to others, thinking with our heart instead of our head. They are connected to fantasy, imagination, creativity and romanticism. In the reverse it can reflect repressed emotion, inability to express self, overly emotional. 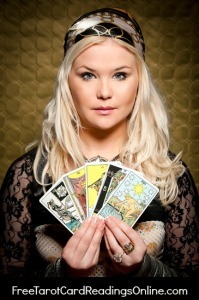 There are different Tarot layouts that can be used to help us in different areas of life, some of which you can check out in our Free Online Tarot Card Readings. The cards can be shown upright or in reverse and again they are all giving us insight to situations in our life. Remember we can alter our outcome because we have the free will to make a different choice so if we don’t like what we are seeing we can exercise that choice or not. Each thought we have, each attitude we carry, each choice we make does have an impact on our future. We can create our own destiny through everyday actions, we always have a choice. 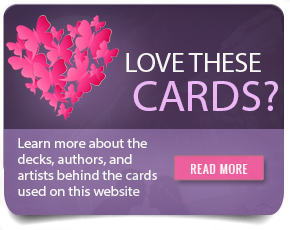 For more information on Tarot cards, check out our Tarot TV Video Library that includes a video description for each Tarot card.